Intuitive, portable and sure to make you shots stand out, the camera Slider 100 + ball lets you achieve impressive tracking shots without hassle. Get professional results with great speed and easy thanks to this versatile accessory that lets you infuse you shots with creativity and flair. Designed with lightweight and durable aluminium, this powerful video slider is extremely portable and ideal for travelling photographers. Weighing a mere 3.3kg, it delivers a wide variety of shooting options. The camera slider is easy to mount onto a tripod and features a ball head with a quick release plate that securely holds your gear. Compact and versatile, it allows you to shoot from a variety of angles. For added precision, the slider features a levelling bulb for exact positioning and a dry friction system, allowing you to flawlessly capture the shot you're looking for. Able to safely support a payload of up to 4 kg, it can be used with a wide range of cameras. The PFTE pads ensure smooth pan and tilt movements with independent locks, saving you time and energy. 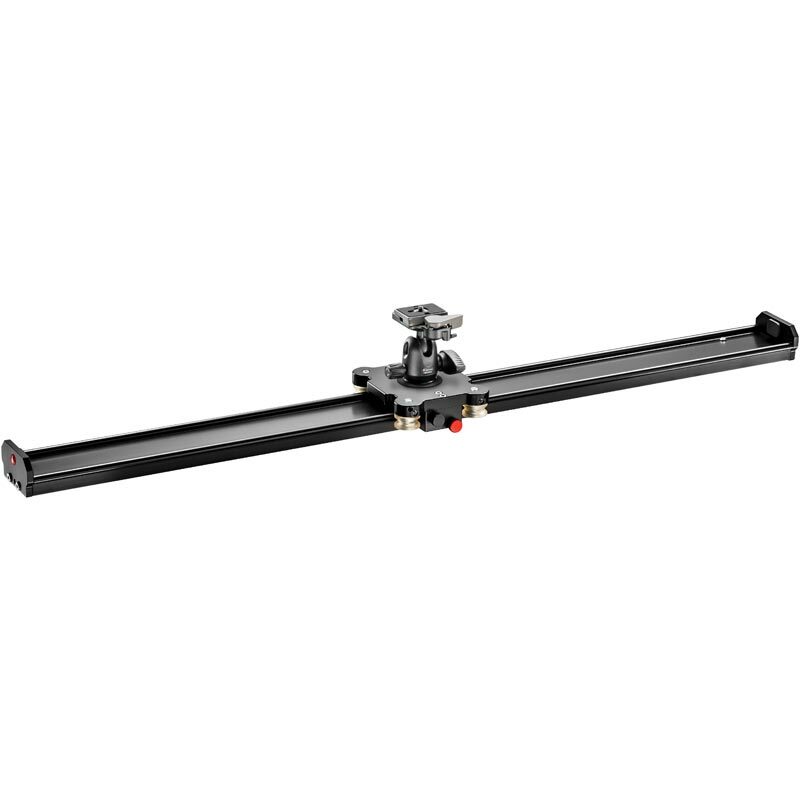 Achieve beautiful tracking shots indoors or outdoors with this indispensable camera slider. Built-to-last, this top-quality accessory was manufactured in Italy and features high precision steel ball bearings and silent PSU high performance polymer wheels. With a standard 6.35mm attachment screw, you'll be able to use it with a wide range of gear and accessories for added versatility.